Texas scores game winner on Red Raider error. 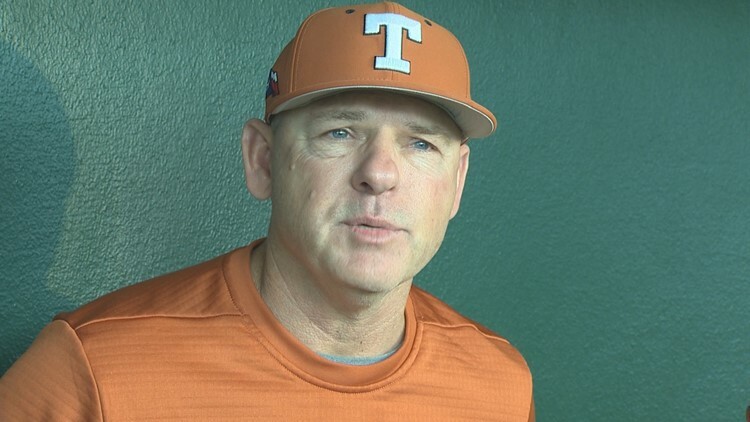 The Texas Longhorns baseball team scored four unanswered runs for the 4-3 comeback win over Texas Tech in the Big 12 conference opener. The Red Raiders scored three runs in the third off Texas starting pitcher Bryce Elder. But Texas got one in the fifth and three in the sixth to take the lead. Longhorns reliever Kamron Fields was the star of the game. Texas Tech had the fifth leading scoring offense in the country, but Fields shut them down in the seventh, eighth and ninth innings. Texas and Texas Tech play Game 2 of the three-game series Saturday afternoon in Austin.